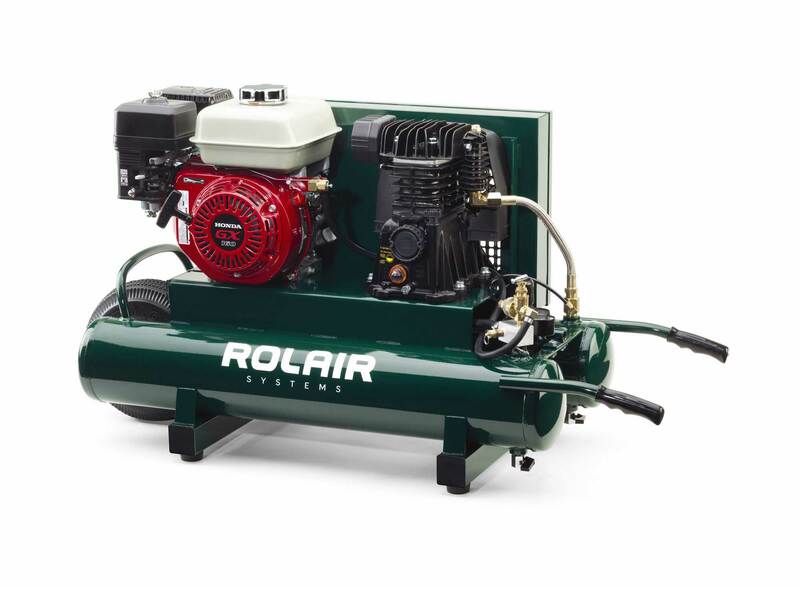 The 163 cc (GX160) gas wheelbarrow air compressor has long been the top choice of framing and roofing contractors. In this class, the 4090HMK103 delivers 8.7 CFM @ 90 PSI. It incorporates an automatic idle-down for increased fuel efficiency and an atmospheric unloading system to prevent oil consumption.